Quick-serve drop-off catering is a $55 billion industry. Corporate catering has seen 10% growth over the last several years. Hot menu options deliver the highest margins for operators. Delivering & serving hot food is essential to every successful drop-off catering program. Ask about our space saver large insulated food carrier. Sterno is redefining drop-off catering to be safer, simpler, and faster. Our SpeedHeat system utilizes non-toxic flameless heat for optimum safety. It provides instant heat, requires only a simple set-up and allows food to be served in minutes! All to help you achieve more. The SpeedHeat system is simple and easy to use. To start, set up the base and and place a tray inside each base at the bottom. Open the SpeedHeat packets and place 1 in each tray reservoir. Fill each reservoir to the top with room-temperature water. The heat packets will activate in under 60 seconds, producing near instant, flameless heat. Immediately add half pans of hot food into the base to trap all that heat! 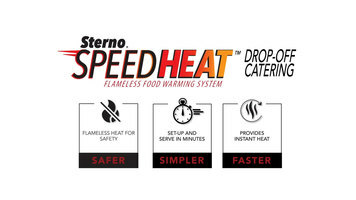 The SpeedHeat system will keep food warm for up to 45 minutes. It's ideal for quick-serve events like corporate meetings and office lunches. At the end of service, remove SpeedHeat packets and dispose in everyday trash. The base and tray are fully recyclable. The Waring Double Belgian Waffle Maker is not only space saving, but also has heating elements within the iron plates to perfectly bake and brown Belgian waffles every time you make them. 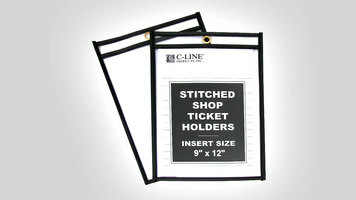 Watch this demonstration to see how easy they are to use.